An impeccable skin care regimen, consistent protection from the sun, and a skin-friendly diet can go a long way in giving you a glowing complexion. But even flawless skin can’t escape the effects of time: As you grow older, skin becomes lax and fine lines start becoming more apparent. 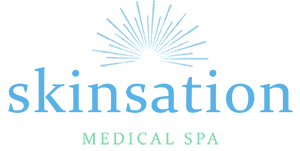 At Skinsation Medical Spa in Goodlettsville, Tennessee, Dr. Nadja Colon and her first-rate team offer Pellevé® wrinkle reduction and skin rejuvenation treatments to help patients in the greater Nashville metropolitan area turn back the hands of time. Call or book your appointment online today. Pellevé is a skin rejuvenation system that uses noninvasive radiofrequency (RF) energy to help reduce the appearance of fine lines, wrinkles, and other skin blemishes. This FDA-approved technology works by sending RF energy into the deepest layers of your epidermis, where it warms the tissues and stimulates the natural production of collagen. This new collagen, which is the main protein that gives your skin its structure, is then synthesized along with elastin, the protein that helps your skin retain its shape. Together, these two proteins act to physically reduce the depth of your wrinkles, resulting in smoother, tighter skin. What problems can Pellevé address? You don’t need to do much to prepare for your Pellevé treatment — just make sure you’re well-hydrated beforehand, and avoid wearing makeup to your appointment. Pellevé is a gentle, comfortable procedure that many patients have likened to having a relaxing hot stone massage. The amount of time it takes to complete one session depends on the size of the treatment area; treating the entire face takes 45-60 minutes. Although your skin may be slightly red and a bit warm just after the procedure, these minor side effects usually subside quickly. There’s no downtime after a Pellevé treatment, which means you can return to your normal activities as soon as you’re done. Pellevé is safe for nearly every skin type, which means that anyone who wants to tighten, firm, and otherwise improve the appearance of their skin is probably a good candidate for the procedure. Because Pellevé skin rejuvenation relies on your body’s natural healing response, achieving optimal results is a gradual process that unfolds over time. You’ll first begin to notice smoother skin about 30 days after your first treatment. Although most patients do see substantial results after just one session, the average patient benefits most from having multiple treatments. Pellevé sessions should be scheduled at least a month apart to allow ample time for the collagen-elastin rebuilding process. The average patient only needs three to five sessions for excellent results.